Set five minutes from Walt Disney World’s many attractions, Grand Beach by Diamond Resorts is an elegant Florida retreat. 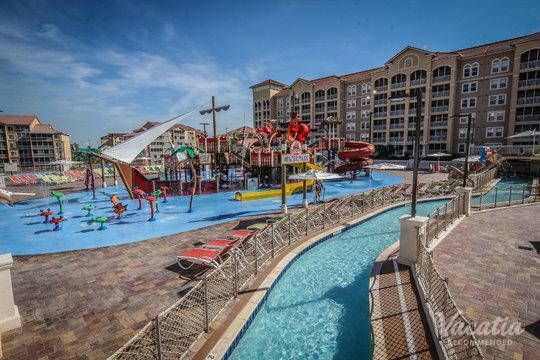 Overlooking the beaches of Lake Bryan, this resort offers plenty to do and many opportunities to relax when not enjoying the area’s countless theme-parks. Three-bedroom timeshare suites feature a full kitchen, spacious living and dining areas, dual master suites with king beds and private baths with whirlpool tubs, a guest room with two twin beds, a queen sleeper sofa, private balcony and washer/dryer. Onsite activities abound at this exclusive lakefront resort. An outdoor pool for children and one for all ages, as well as a hot tub provide hours of swimming and lounging. Unique to this resort is a private aquarium filled with exotic fish. Head out onto the lake for a day of fishing, canoeing and rowing. Stay in shape at the fully equipped fitness center. Indulge with a massage or yoga classes or play a game of tennis, volleyball, basketball or shuffleboard. The picnic area is the perfect place to take the family for a relaxing lunch, treat them to a BBQ on gas grills. 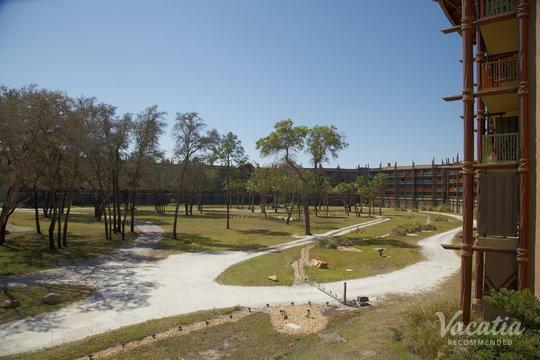 No more than three miles away, owners will find extensive dining and outlet shopping. Disney area attractions are even closer.